They for sure do not all have Savanna Views. We had a view of a pool from ours last August. It depends if you end up on the east or west side of that area. Rooms 6401, 6402, 6405, 6406 are all pool view. Rooms 6201, 6202, 6205, 6206, 6208, 6209 are all Savanna View. So are all the DVC Club Level Studios on the 6th floor? I thought some were on the 5th floor. All of the DVC Club Level are on the 6th. The Club Level on 5th as I understand it are all regular resort (non-DVC) rooms. Gotcha - thanks for the clarification. We had wanted to be on the 6th floor for ease of access to the lounge so that's great. 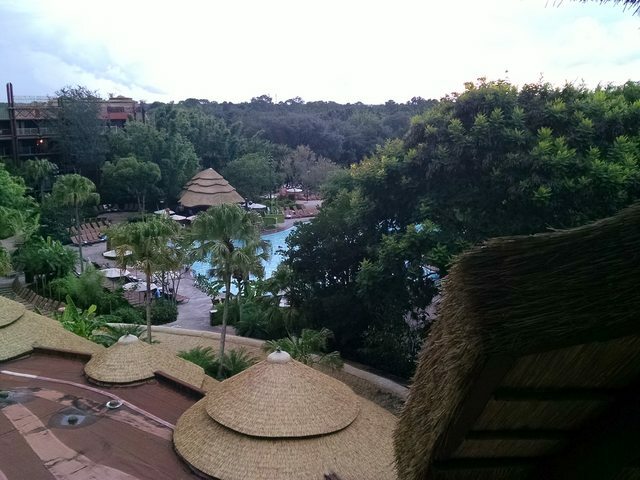 A bit disappointed that there's no guarantee of a savanna-view room but since this is a first for us we'll have to see how we like it. Post 1 has been updated with some more finalized numbers for Copper Creek, and a few other minor updates and cleanup. Note that the main thing I am unable to get information on for Copper Creek has to do with the Walk-In Shower rooms. I know there are 41 Studios with Showers, but of those I am unable to find how many are in Dedicated Studios and how many are in Lock-Offs. If anyone has seen this information posted somewhere, let me know. Micah, thanks for keeping this info up to date. I check this thread every time I’m planning a trip. It is a great resource. Sorry I can’t help with the CCV question. We’ve stayed there once and that was in a 1BR, so can’t even tell you what was in the adjacent studio for that particular room. I updated the first post with some initial information for Riviera Resort (some is estimated, in red), and also updated OKW with 'Near Hospitality House' booking category numbers for each room type, based on the best information I could find, and counting the rooms across those buildings. One additional update made now that I found the exact breakdown of CCV rooms. (Standard vs Shower, and Alternate Studios). I updated the first post with new information on the room counts at Riviera Resort. We still don't know the breakdown between Standard and Preferred View, but we do know the totals now. Yes, a big thank you!!!! I look at this room chart all the time. So helpful! Not sure if I said it somewhere upthread, but thank you (again). If I were traveling alone, I’d covet one of those CCV “alternate” studios. Too bad they didn't make them a separate category, but at least knowing the numbers helps know which category to book (Shower) to have a better chance at getting one... even if only 7 of 41. If traveling alone I think the new Tower Studios at Riviera would be great too... granted pretty small at 225 sqft. 225 feet?! I'd have to step out into the hall to change my mind!